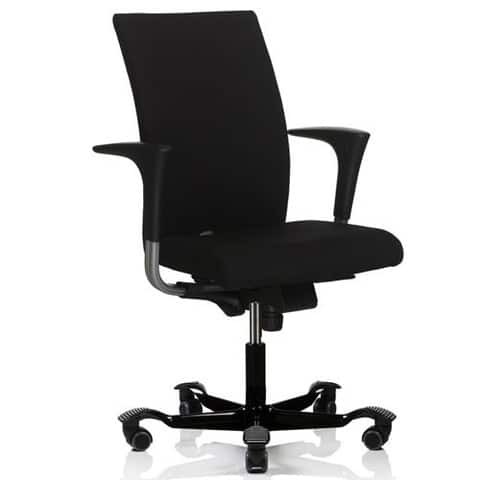 The precise regulation mechanism of the HÅG H04 makes adjusting the chair easy to match each individual's requirements. 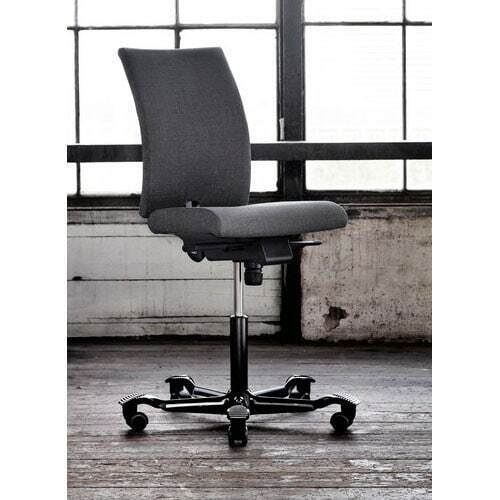 The HÅG H04 boasts a range of ergonomic features that work to keep the user comfortable and productive. 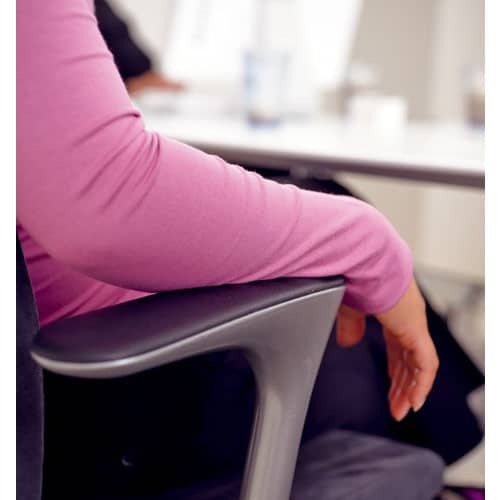 The InBalance™ mechanism keeps the user perfectly balanced whilst adapting to the body's intuitive need to move, meaning the user is kept alert and focused, thanks to better circulation and breathing, and they can also carry out their tasks without obstruction. 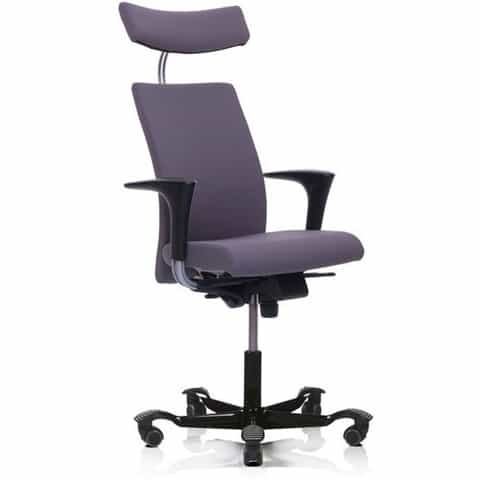 The H04 also features an optimised adjustable tilt angle allowing the user to set a comfortable tilt where they will be supported by soft, ergonomic cushioning to maintain proper posture. Choose from a range of fabrics and colours to complement your H04 and it's surroundings and choose from a black or silver aluminium frame. 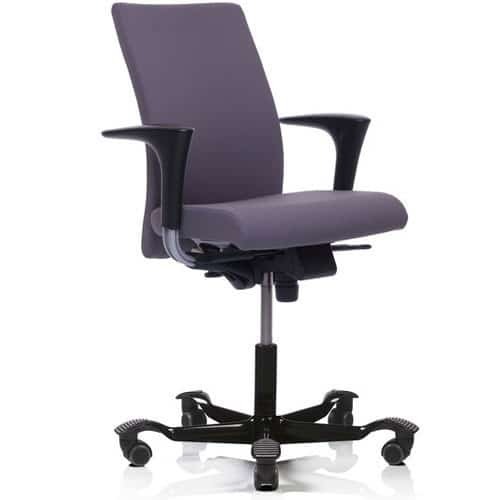 Chrome aluminium is available with a surcharge. 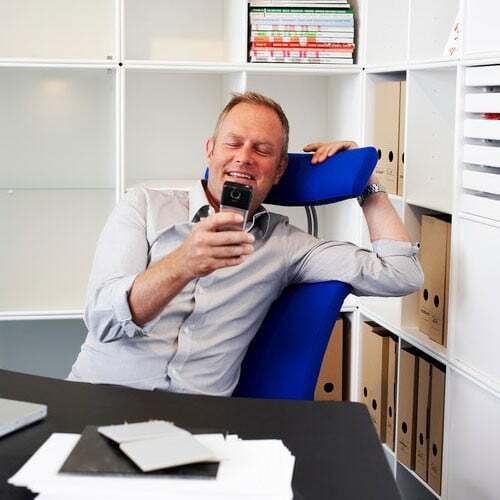 A Ten Year Guarantee is available on chairs that are being used for up to nine hours per day.